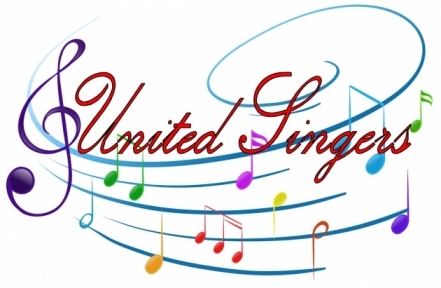 United Singers is led by Musical Director and founder Tom Rodgers and performs a wide variety of ​choral repertoire twice a year in local churches in the vicinity of Hornchurch, Essex. We work hard in our rehearsals but they are also full of fun and laughter! We welcome any new members with open arms from all voice parts - come and join us! The United Youth Singers was formed in January 2018 under the guidance of local vocal coach Miss Rebecca Hunt. This year we are very lucky to have Mrs Nikki Randell take the helm in her absence. If you are aged between 7 & 16, and interested in joining us please click the button below to visit our website and then make sure you come to our next rehearsal on Sunday 13th January 2019. Visit the United Youth Singers Website! When? Sundays, fortnightly, during Term-Time. ​There is an annual membership fee, payable termly, which helps cover the running costs of the choir. Members are asked to practice at home using our online guidetracks and rehearsal recordings (access to members only). These are bespoke creations made by our Musical Director and trusted singers to aid the learning of all our pieces. Members are asked to practice at home using our online guidetracks and rehearsal recordings (visit the UYS website). These are bespoke creations made by our Musical Director and trusted singers to aid the learning of all our pieces. Please explore the rest of this site at your leisure; if you wish to have more information about the choir please email Tom Rodgers, our Musical Director, and he will be happy to answer any queries you may have.